For many students with sensory processing disorder, it is of utmost importance to determine how to help students develop sensory strategies that work to function more efficiently at school. Of course, there are some students who are not able to express their needs and observational skills and data collection are critical. Regardless, all students should be encouraged to express their sensory needs in order to have functional outcomes. You can download two FREE worksheets to help guide this process at the bottom of the post. Work with the student to identify what the current challenge is during their school day. Perhaps they are having difficulties with personal space boundaries, staying focused during classwork, or self-regulation. Create a list of challenges that the student faces in school. Ask the student to help prioritize which ones are most difficult and start to tackle that issue first. what are you doing before you have a challenging situation? have you noticed anything that makes the challenge easier to deal with? have you noticed anything that makes the challenge harder to deal with? in a perfect situation, how would you deal with overcoming the challenge? Provide the student with visual supports if necessary to help students develop sensory strategies that work for them. If a student is unsure of their sensory preferences, be sure to help educate and guide them on activities or environmental changes that may be beneficial. The Sensory Mini Books and charts offer a child-centered approach to establishing a child’s sensory preferences and dislikes. The books can help children to develop their own coping strategies along with the child’s parents, therapists, and teachers. This tool is an excellent resource for non-verbal children as well as verbal children. 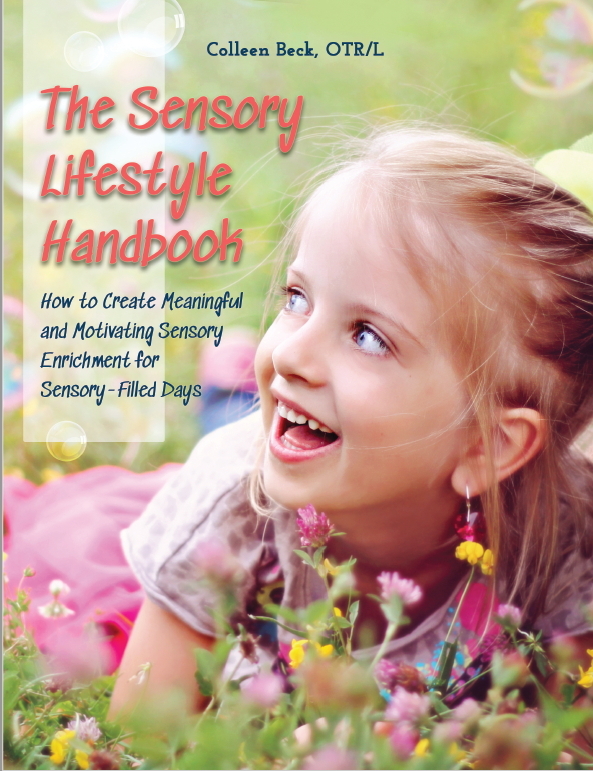 Their responses can help determine what sensory solutions may be helpful. Keep in mind not only solutions will be sensory based. Some require more behavioral interventions to produce functional outcomes. Most require a combination of the two (sensory + behavioral) since it is very hard to separate the two. Work with the student to establish how to apply the solutions throughout the school day. What sensory strategies can be utilized before, during and after the challenge that they are trying to overcome? Try using something like this Sensory Fill In Worksheet to provide a visual to the student to help them improve their educational outcomes. Download the blank template at the bottom of the post. You can use visual supports or simply write in what strategies will be tried during the day. Next, put the plan into action. The student can try the different sensory strategies to improve their functional outcomes. It may be helpful to introduce one or two strategies at a time to determine if they are effective or not. Sensory needs and strategies are constantly changing. Students may adapt to certain input over time or their sensory needs change. It is important to constantly reflect on what is working and revisit whether other strategies would be more successful or the current strategies need to be tweaked. Reflection needs to include data collection. Students can use self-generated data collection, or staff can observe outcomes and collect data. Regardless, without some form of data it is difficult to determine what strategies yield the best results. If sensory strategies are used ineffectively, that can hinder educational outcomes. Download your FREE copy of the 5 page Sensory Fill In template, worksheet and hand out below. Sign up to receive weekly news and announcements from Your Therapy Source. If you already subscribe, please enter your email again. You will be redirected to the download. 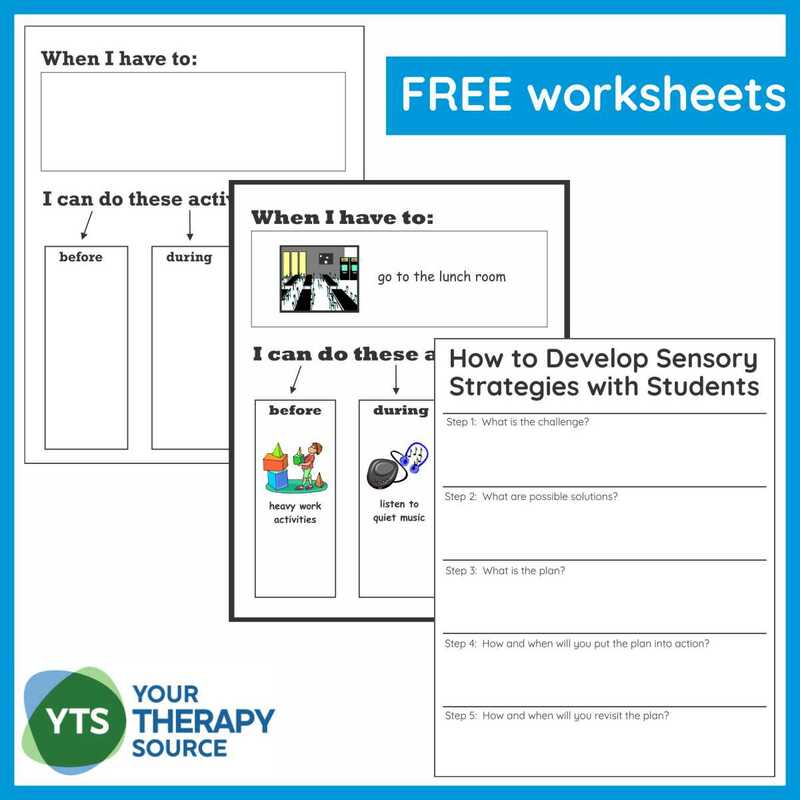 The Sensory Strategies for the Classroom Bundle includes 9 digital downloads to help students to be ready to learn or participate in functional tasks.